6 pulgadas hecho en Finlandia. Gran pantalla, resolución Full HD, un potente Snapdragon 800, y una cámara de alta resolución. Nokia por fin llegó a la división premium, y presenta su primer phablet Windows Phone 8 llamado Lumia 1520. Lee qué tan bien lo hace frente a la competencia Android en nuestro informe. Well, the Nokia Lumia 1520 is still a fantastic thing to think about, especially in the Windows Phone camp. Its biggest strength now, aside from its great camera, is the low cost that’s attached to it – where you can find it for as low as free with a 2-year contract. Conversely, you’re going to pay a cool $300 to pick up the Note 4 on-contract, but the money invested in it shows whys it’s a premium thing from head-to-toe. The 1520 is the biggest, most powerful Windows Phone to date, and continues Nokia’s legacy of pushing the Windows Phone envelope. While it might not have the large sensor of the Lumia 1020, its camera is still hugely impressive, producing shots that are good enough to lay your compact cam to rest. Its huge 6in screen is superbly bright and clear, even in daylight, and Windows Phone 8 runs faster than a jetpack-wearing cheetah. The Samsung Galaxy Note 3 remains our favourite large-screen smartphone – its smaller size and stylus make it a more practical choice, and Android still delivers a wider choice of apps than Windows Phone – but this Lumia runs it a close second. 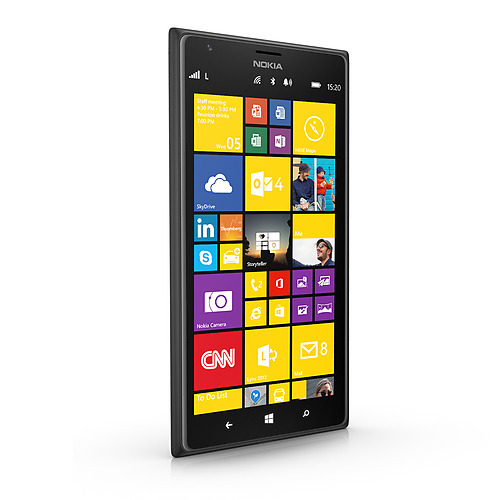 The Nokia Lumia 1520 is the best Windows Phone currently available. It is super fast and has a great battery life. It also has an amazing screen, however, sized at a massive 6-inch, it isn't for everyone and I highly recommend you play with one at a store to see how comfortable you are. As mentioned earlier, the only and biggest problem with this phone is its size. Had Nokia fused this hardware with a 4.5" screen, it would have been a killer phone. But, the current screen size is not everyone's cup of tea. So if you're looking for a Windows Phone, the Lumia 1020 and 925 are better options, unless you give too much importance to specs. For "phablet" lovers, it's going to be a tough call between the 1520 and Note 3. We believe that if the built quality and camera are you priorities, go for the 1520. On the other hand, if you like the idea of using stylus, the Note 3 is the way to go. To sum up, the Nokia Lumia 1520 is the best Nokia smartphone in the market right now and if you’re into ‘phablets’, then this is easily one of the best out there. It has great aesthetics, a solid spec sheet and some very cool apps from Nokia. 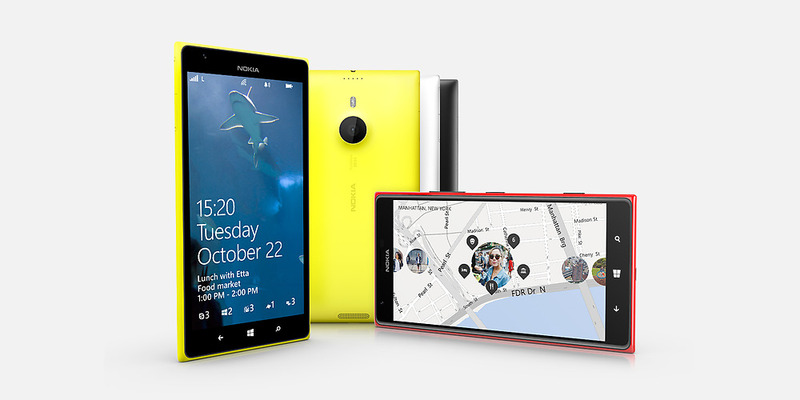 Now, if we could only have a Lumia 1520 ‘Mini’ for the rest of us with regular sized hands; that would be splendid. Personally, I’d recommend neither the 1520 nor the 1020 at their current price point, as they are too expensive when you consider what the competition has to offer. If you only look at a specific aspect, like imaging for instance, then these phones are easily the best in the market. But as an overall package, the Android offerings are simply better. I hate to bring this up again but you simply can’t ignore the fact that Windows Phone apps still have a lot of catching up to do, compared to Android and iOS. That’s not to say there aren’t good apps, just not enough. While Nokia’s colorful unibody design feels great to hold and overall the phone is quite ergonomic for the size, the handset is certainly massive and could be quite cumbersome in unaccustomed hands. I can’t help but feel the device would appeal to a wider audience if it was smaller. A 5-inch handset with the same internals could well be a killer Windows Phone. The Lumia 1520 is definitely the best Windows Phone I’ve used so far. It can be a hard sell up against a seasoned contender like the Note 3, but there’s no doubting that Nokia keeps improving delivering yet another high-end quality handset. If you want a Windows Phone with a supersized high-resolution screen, this is currently the only game in town. Nokia is the only manufacturer truly committed to Windows Phone, and with its acquisition by Microsoft now complete, it's unlikely that any other company will bother developing such a device. The Lumia 1520 retails for roughly the same street price as the Lumia 1020, and both could be described as flagships of the line, depending on your priorities. The 1020's camera is simply unbeatable, and is the only thing keeping the 1520 from dominating the specifications charts in every category. However, the 1520's screen and nearly all its internal components are a generation ahead of the 1020's. So this is easily the most powerful Windows Phone we've ever used, but does that make it a great phone? We're hesitant to make a recommendation. If you love giant phones, there are quite a few Android options with screens and hardware that match the Lumia 1520, and they have the benefit of better optimised software and a far more substantial library of apps. If you love Windows Phone, there are cheaper options. The Lumia 1520 does stand out when it comes to its camera and looks, but you'd have to be pretty passionate about either of those things to spend close to Rs. 50,000 on this phone. 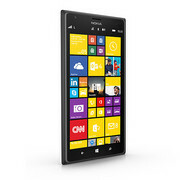 The Nokia Lumia 1520 is as good a phablet as Windows Phone could ever offer, make no mistake. On the shop shelf, it’s a far more attractive option than the banal plastic Galaxy Note 3, but as ever, it’s let down by Microsoft’s software, which offers no real reason to exist on a screen so larger. If Nokia could have worked in dual-screen app support or even just a stylus for those with smaller fingers, they’d be on to a winner: as it stands, anyone with the hands to hold a phablet will find Samsung’s entrant far more productive. 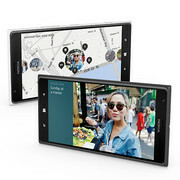 Unlike the Samsung Galaxy Note 3, which ups the phablet game with its stylus and pen-friendly software tweaks, the Lumia 1520 is a simpler device; a Windows Phone 8 handset with a very big, high-resolution screen. It’s a combination that works, though; the Lumia 1520 is fast, beautifully made and has a good screen, so if you fancy a phone/tablet hybrid with Windows Phone 8's advantages of super-fast performance and arguably the best-looking interface out there, it's the handset to buy. However, if you're not set on a particular operating system, the Samsung Galaxy Note 3 remains a more versatile handset with a larger selection of apps in the Google Play store. 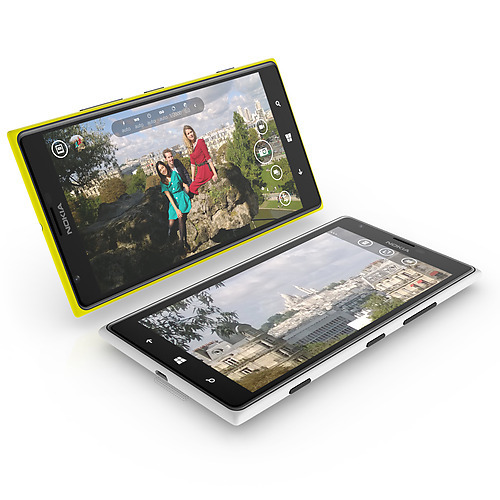 The Nokia Lumia 1520 has got so many things right including build quality, a great camera and a good looking screen. It's the best Windows Phone yet but software is still lacking and we just wish the darn thing was smaller because it's severely off putting. The 1520 is the biggest, most powerful Windows Phone to date, and continues Nokia’s legacy of pushing the Windows Phone envelope. While it might not have the large sensor of the Lumia 1020, its camera is still hugely impressive, producing shots that are good enough to lay your compact cam to rest. Still, it’s a sign of great things to come. Put the 1520’s insides and screen resolution into the 1020’s successor, and you’d have the most compelling Windows Phone handset to date. WIRED: Amazing camera with a bunch of dedicated apps. Outstanding audio recording. Bright, vivid screen makes for a nice outdoor viewing experience. TIRED: Slightly bigger than other 6-inch screen phablets. Polycarbonate body feels cheap. Design doesn’t stand out. At all. Despite the Lumia 1520’s thinner profile and top-notch specifications, I wouldn’t recommend it as your first Windows Phone device. It’s too big for any phone, and Nokia’s participation in the large-phone craze is just another indication that it’s playing catch-up, not leading. This isn’t something I’d expect from the company that helped to make cell phones the household items they are today. I remember lusting after the 3310 way back when, and I know that the designers at Nokia still have it in ’em to inspire that kind of desire in consumers. They just need to be smarter and more aware of what’s a trend (cameras!) and what’s a gimmick (giant phones!). There’s a big market for big phones. Samsung’s Galaxy Note 3 and its predecessors have shown us that, and the gradually increasing size of the average flagship handset’s display suggests the rest of the market has caught on. The Lumia 1520 has seen Nokia jump ahead in terms of screen real-estate, and the display itself is a real winner. 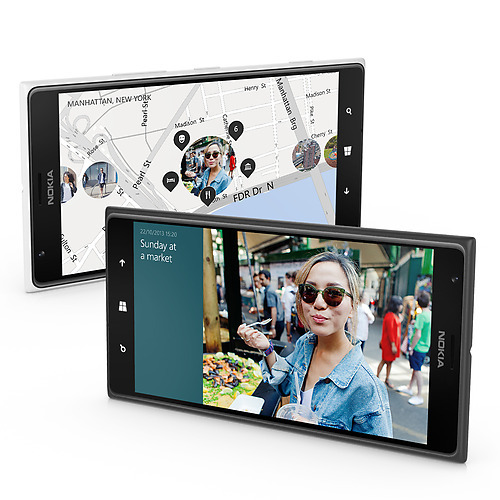 For the moment, there’s no other Windows Phone that offers the same power and display resolution as the Lumia 1520. Give it some time, though, and other devices will catch up, leaving the key reason to opt for the 6-inch Nokia being its vast screen. Some will consider that reason enough to buy, but anybody hoping for the flexibility of a true phablet may discover the Lumia 1520 is simply a bigger version of handsets that came before it, not necessarily a better one. 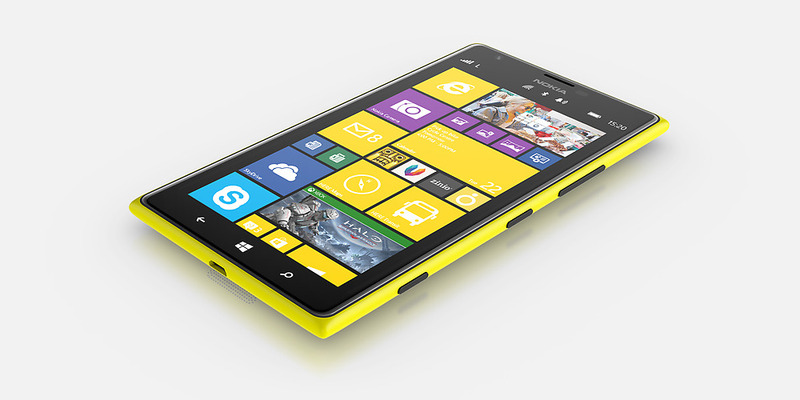 The Nokia Lumia 1520 is a very good phone, but it's not for everyone. Its size accounts for most of that, as it's large even by 'large phone' standards and heavier than some people will tolerate. The camera isn't a total success, either, despite the very good image quality. This is, undoubtedly, Nokia's best Lumia phone to date, and that's in part thanks to Microsoft, with the Windows Phone 8 GDR3 update and its support for HD 1080p screens and quad-core processors finally making Windows Phone devices able to compete against iOS and Android. As far as a Windows Phone 8 device, the Lumia 1520 may not be one of our favorites, but it’s a device that is a welcomed addition to the phablet world. Its large 6-inch 1080p display is downright impressive and will keep your eyes very happy with whatever it is you’re viewing on it. We still wish Nokia would figure out how to make their line of Lumia devices charge within a reasonable amount of time as well as not be so difficult to grip when attempting to type on their devices, but this is certainly areas that we could learn to live with considering just how much goodness the Lumia 1520 offers. As of this writing, the $99 Lumia 1520 is about $25 more expensive than the Galaxy Mega, but the small premium is more than worth it. For less than $100, you're getting a massive 6-inch 1080p display, a superb camera, LTE speeds, and more than 11 hours of battery life. 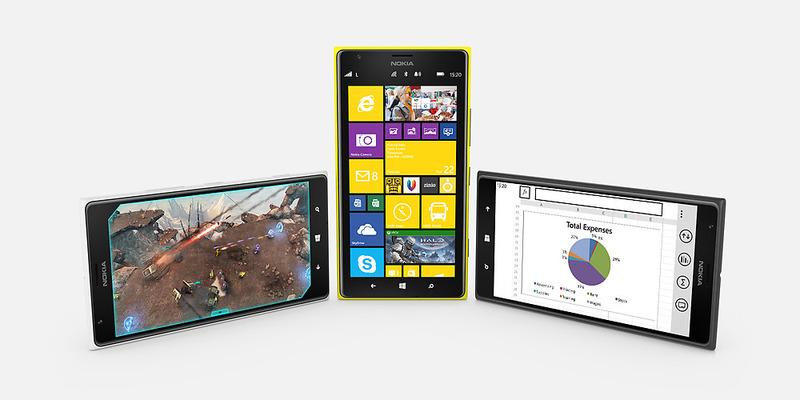 Windows Phone has never looked this good. So how does Nokia look when its flagship smartphone has all of the latest and greatest hardware? Pretty darn good. The Lumia 1520 has a beautiful 1080p display, fast Snapdragon 800 processor and some of Espoo's best imaging software to go along with a 20-megapixel camera. The Nokia Lumia 1520 possesses a specs sheet to rival the Samsung Galaxy Note 3 and Sony Xperia Z1, and what’s more, the overall package feels bang on the mark from first use. In a market of super-sized, super-speced smartphones, the Nokia Lumia 1520 has brought the Finnish manufacturer back into the race. While we require more time with the device before we can pass final judgement, on first impressions we are highly impressed with this 6-inch beast and look forward to spending more time with the device shortly. What's Nokia done here? Made something that we can't criticise from the spec sheet alone? The answer has to be yes: the CPU, screen, design and expansion offerings are all the things we've been gagging to see for months, if not years. The extra apps are standard fare from the firm: bringing user upgrades in a way that delivers actual performance… we're actually quite intrigued by Storyteller as an app, although it can be a little cumbersome to use. 82.3%: Esta evaluación es para ser considerada como promedio, porque la cantidad de portátiles con mejores evaluaciones es casi la misma que la cantidad con evaluaciones peores.